Last night was a complete mess. Harper fought me till the end about falling to sleep. He thought he deserved a treat just for getting into bed but refused to stay there. After a good 2 hour fight he ended up falling asleep curled up on the couch. Shortly after I went to bed myself he ended up waking up and climbing in with me. Fine. Then. He wet my bed. So everyone was up at 2 in the morning crying while I changed the sheets. I was quick and was able to get them calmed down but no one really slept after that. Willem’s little head cold didn’t help us at all. Or the fact that I had a kid on each side of me. Fast forward to the morning and I somehow manage to pull off getting the kids up and in the truck to take Harper to school. Willem is still screaming so I make him a dr appointment but they can’t get us in while Harper is in preschool so I have to take both kids with me. This is okay, only okay. It could have gone much much worse but instead I did a little arguing with Harper about staying in the room and had to do a sprint down a long hallway as we were leaving but that’s the worst of it. When 2 o’clock rolled around I was anxious to get out on my own since sleep wasn’t going to be happening. I had an appointment to get my windshield fixed and after that was going to do a little shopping. Mainly grocery shopping and swing by the courthouse to get some stuff for our car. They told me that the car will be ready at 5. So I walked off. 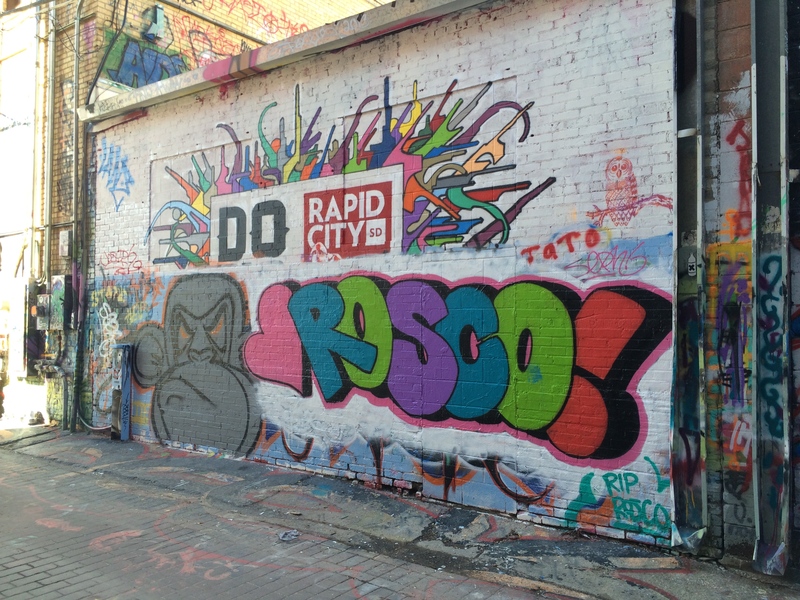 Thankfully the first day of spring in Rapid City was amazing. It wasn’t hot or cold just pleasant. Sun was out, there were clouds and birds singing, add some more grass and flowers and I’d be in heaven. Anyway, I ended up walking about 5 miles. 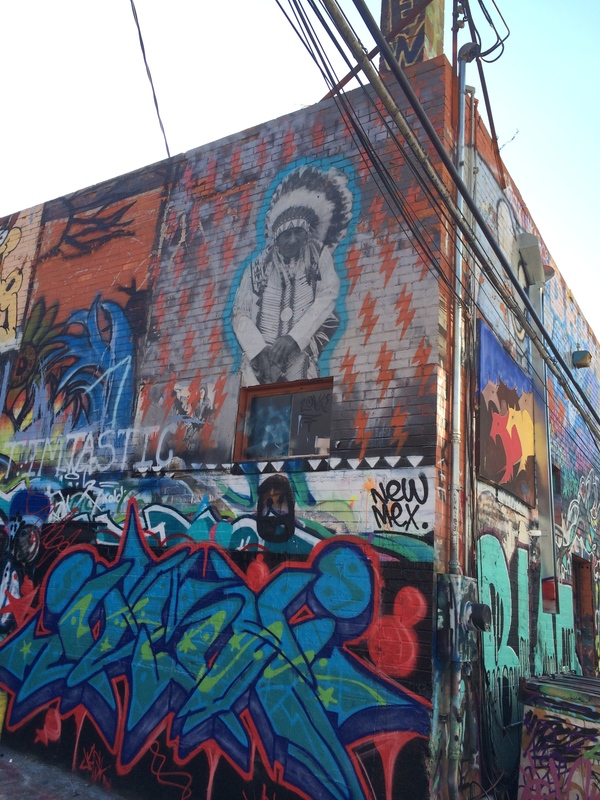 Stopped at the ol’bike shop to chat, the health food store for some corks, to the courthouse, got some sage flavored ice cream (amazing), browsed a boutique and went to my favorite art gallery in the area: art alley- an actual alley. A nice long, lonely walk was better than a nap. 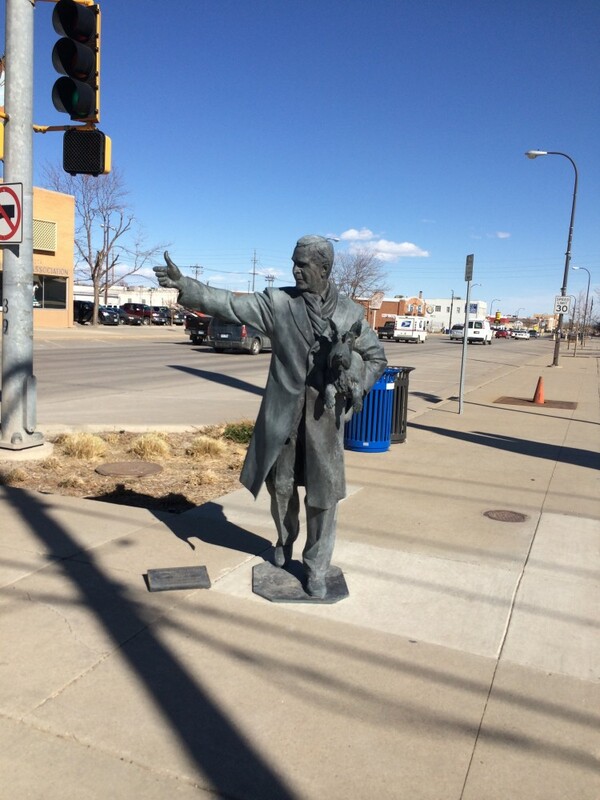 Rapid City has statues of presidents on all the corners downtown. Here is George W and a dog. I couldn’t tell if he was giving a thumbs up or looking for a ride but he sure does look happy. 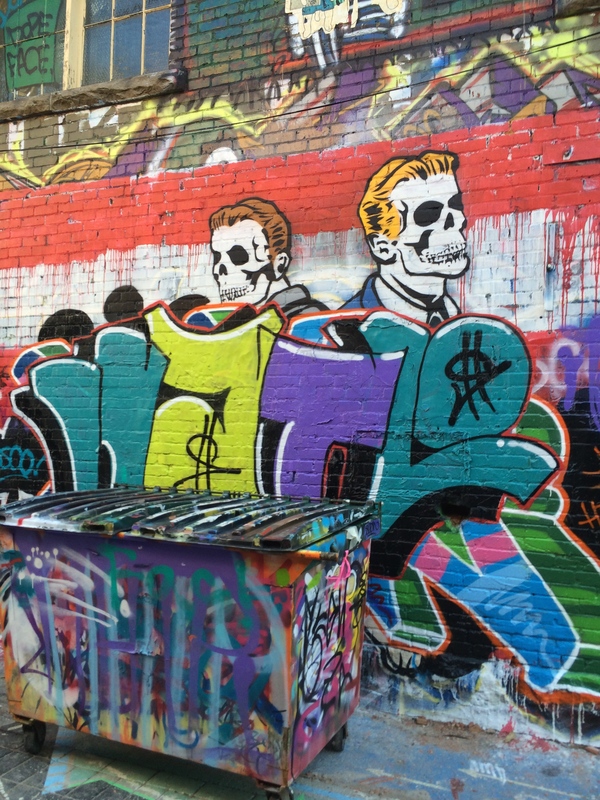 This is one of my favorite pieces I’ve ever seen here. Honorable and intriguing. 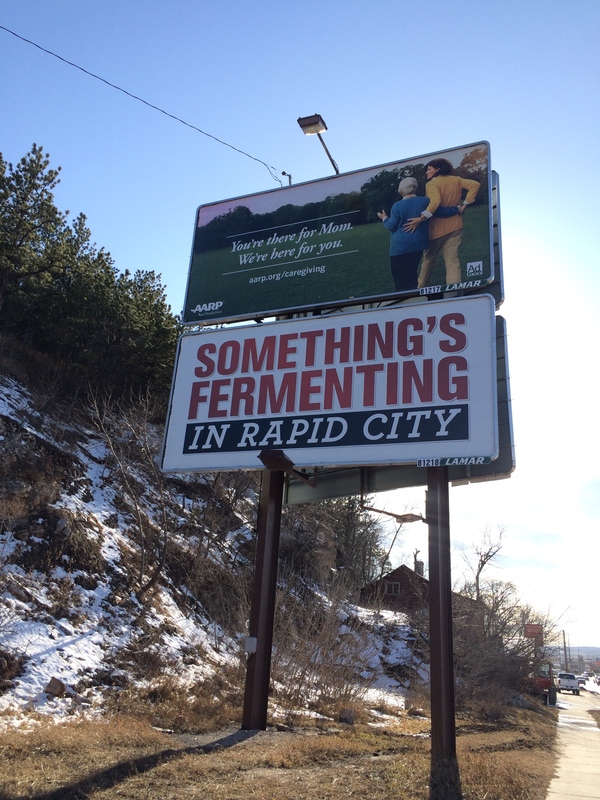 Why would anyone put up this billboard? It’s so oddball but very true. I can tell you I have a few things fermenting in my house, wine and Kombucha. True but strange sign.